THERE is growing interest in increasing Angus content of calves in Northern Australian beef herds in an effort to improve overall beef quality and to maximise the profitability of beef operations. This is most likely to occur through the use of Angus or Angus derived bulls (in natural mating or AI programs) over Bos indicus cows to produce crossbred progeny. For successful long-term infusion of Angus genetics, breeding strategies aimed at identifying and enhancing the adaptability of Angus genetics for Northern Australian production systems is vital. In a collaborative project, CSIRO and Angus Australia are exploring funding opportunities to undertake a project aimed at investigating the potential for DNA pooling, a cost-effective methodology applicable for use in large scale commercial herds, to identify Angus genetics suited to the production environment in Northern Australia, by estimating the contribution of individual sires to traits of interest (e.g. coat type, heat tolerance). The project would involve collecting phenotypes for traits related to adaptation and genomic profiles on 1000 Angus cross progeny bred in Northern Australia sired by registered Angus bulls. 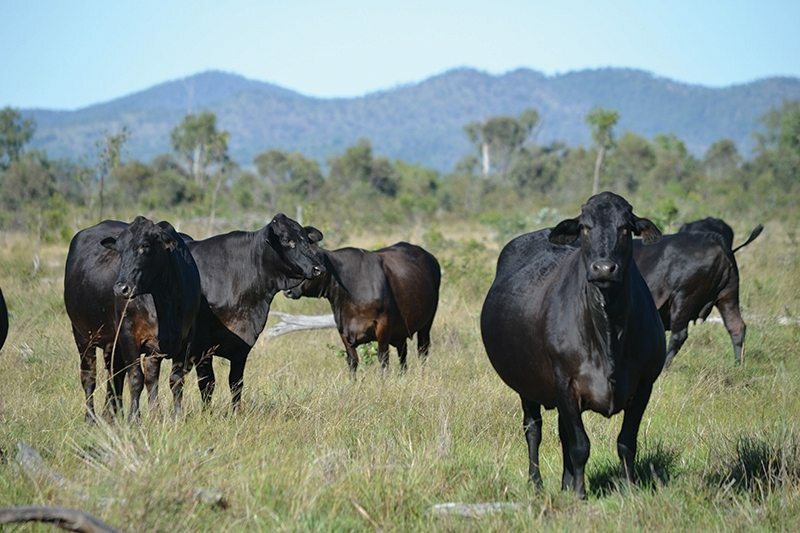 It is envisaged that information generated from this project will inform commercial producers when making important Angus bull selection decisions for Northern Australia. It will also provide valuable feedback to Angus seedstock producers on the performance of their sires and genetics in the commercial settings of Northern Australia. The first paragraph is interesting and reflects the bias of the author (Angus Australia) and perpetuates the most effective global branding campaign ever. It was of course a 100% Brahman who won the 2016 RNA paddock to palate competition. The environment (land, pasture, handling,) causes much of the eating quality differentiation. Much more profitable to use available adapted genetics with good palatability traits. Hell……….some in come with a black hide for you folks that think that is what makes good beef.